Besides the functionality of the scripting language, Jedox Integrator provides several classes with additional functionality related to Jedox Integrator processing. The methods of the different classes are listed below. Examples for the use of script functions and jobs can be found in the sample Jedox Integrator projects sampleGroovyOlap.xml, sampleGroovyFunction.xml, sampleGroovyJob.xml, and ETLTasks.xml (located in <InstallpathJedoxSuite\tomcat\webapps\etlserver\data\samples>). These methods can be used in jobs, functions, and variables. Additional methods are provided for the specific component types. Gets the name of the Jedox Integrator component (the function or the job). Gets the absolute path of the directory used for relative paths in file-based connections. Variables: all variables holding their static default values. Jobs: manually set project variables to start job and load executions with different variable settings. Quickly tests whether a given input data is numeric or not. Clears all variables set prior via setProperty (String, String). Initializes a new processor for access to the data of source if the source is not yet initialized. Otherwise returns an existing processor. Gets the execution state of the currently running execution e.g. job. The state holds information like e.g. the start time. Initializes a new processor for access to the data of source. Initializes a new processor for access to the data of source. Format defines the output of tree-based sources. Size limits the number of rows (default 0). Sets a variable with a given value. Retrieves metadata information from a connection. The selector defines which information is requested, each connection type has its own selectors (see table below). Additional filter parameters are given as metadata properties. Starts a job with all properties as variables and waits until the execution is finished. Name specifies the name of the job. Returns an execution state. Starts a load with all properties as variables and waits until the execution is finished. Name specifies the name of the load. Returns an execution state. Tests a connection with all properties as variables. Name specifies the name of the connection. Returns an execution state. Tests a job with all properties as variables. Name specifies the name of the job. Returns an execution state. Tests a load with all properties as variables. Name specifies the name of the load. Returns an execution state. Tests a source (an extract or a transform) with all properties as variables. Name specifies the name of the source. Returns an execution state. Gets the number of times a function has been calculated in the source. A calculation of the function is not necessary for identical input values. Returns the IEl.ement of the processed element in the tree which holds children, parents, weight, and attributes (only for TreeElement tranform). Gets the MailUtil utility instance that is used to send custom emails. The configuration for the sender’s email is read from the Administration component of Jedox Web. (See Adjusting Email Notification Settings). A utility class to send custom emails. Only the SMTP user/password authentication is supported. Adds recipient email (e.g. happy@jedox.com). Several recipients can be added. Sets the email subject text. Sets the email body text. Adds an email attachment (e.g. filename.txt). The path (similar to “File” connection) is relative to the “files” folder under etlserver webapp folder. Several attachments can be added. Removes the email info, such as to send different mails to different recipients. Sends an email; sender configuration is read from the Administration component of Jedox Web; recipients and email configurations are given directly by the user using the previously set methods. With this class a simple data validation can be added to a script function (among other things). The connection refers to the name of the Jedox connection in the Jedox Integrator project. In order to get a complete API on cubes, dimensions and elements, use method getDatabase(). With an object of type IDatabase all methods of the OLAP Java Client-Library (palojlib) are available. Package com.jedox.palojlib.interfaces.IDatabase is automatically imported. See also Java API for Jedox In-Memory DB Server and the Jedox Integrator sample project sampleGroovyOLAP.xml. Returns an OLAP database object (com.jedox.palojlib.interfaces.IDatabase). The connection is opened at the end of a Jedox Integrator execution. The connection is closed automatically from Jedox Integrator. See Jedox SDK for a reference of the OLAP Java Client Library. Returns an OLAP connection object (com.jedox.palojlib.interfaces.IConnection). 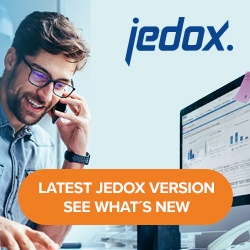 The connection is opened, and at the end of a Jedox Integrator execution the connection is closed automatically from Jedox Integrator. Note that for use of methods at the database level, getDatabase() can be used directly without calling this method first. Converts a cube to a different type. Type 0=Normal, Type 4=GPU. Returns true if the conversion has been successful. Gets the cell value of a Jedox cube. The coordinates are a list of elements for the cube dimensions. Information about the status of an Jedox Integrator execution can be retrieved. Returns true if the execution status is “Completed successfully” or “Completed with Warnings”; otherwise false. Gets the status code of the execution. Gets the number of warnings that occurred while executing. Gets the number of errors that occurred while executing. Gets the start date of the execution. Gets the stop date of the execution. Handles a source processor to access to data of extracts and transforms. Returns the value of a column in the current row. Gets the next row of data from the source processor. Returns false if no more rows are found, otherwise true. To limit the authorizations of a script on the OS-level side (e.g. access to files and directories), change the OS user for the JedoxSuiteTomcatService, as described in the article Accessing Network Files.